First off, I have to say: hairpin legs add such a chic, mid-century modern twist to furniture—making it look stylish, vintage and expensive. Fortunately, they are a SUPER easy add to this wood DIY Coffee Table! Add retro-flair to your living room, kitchen or anywhere in your house (although they really look great with any decorating scheme). I put one together easily in ONE afternoon. For this DIY project, you’ll need a tabletop. You can find them at most home improvement stores or even order your tabletop online from Amazon. I was able to pick one up in pine for $36.00 You could even “reclaim” a top from an old table or go for a different shape with another piece of wood. 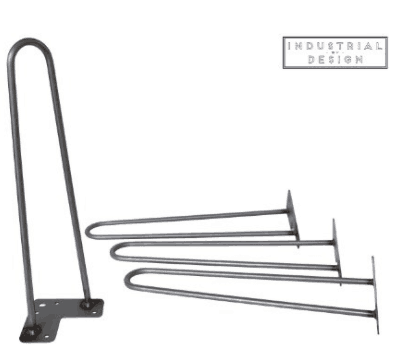 You’ll also need these great hairpin legs, which you can find in a variety of heights. Since I was making a coffee table, I went with the 16 inch size. You can find hairpin legs on Amazon for $49.00. Also watch for these table legs at home improvement and furniture stores (like IKEA) because you may be able to find them for cheaper. 4 16″ hairpin legs: $49.00. 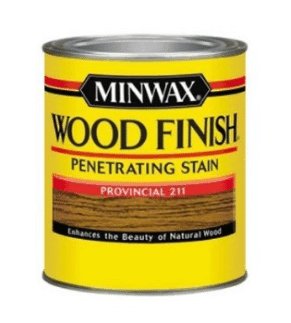 Last, you’ll need some stain. I love a slightly grey rustic finish, so I chose Minwax Stain in Provincial 211, which has just a hint of grey tint to it. It’s available at your local Sherwin Williams store. You can find it in .5 pint sizes up to a gallon. 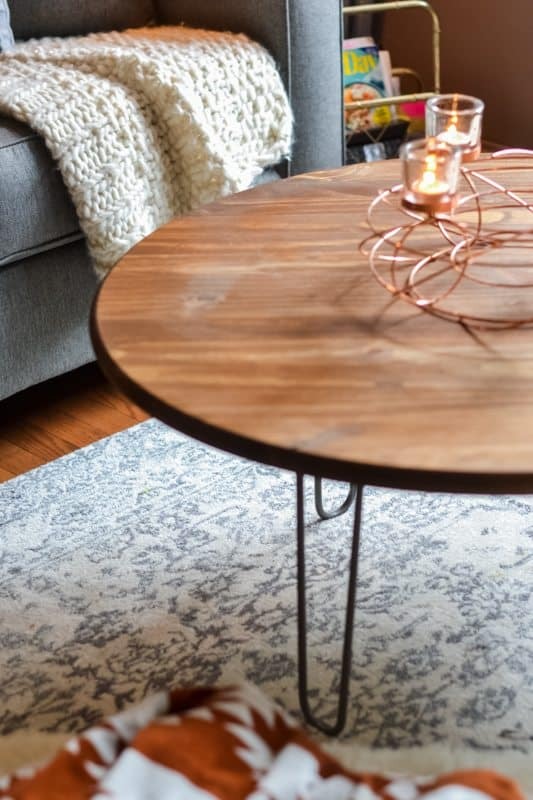 Screw the hairpin legs to the tabletop (most legs come with screws, but you might need to use an electric screwdriver or drill, particularly if you’re using hardwood for your tabletop). Stain the top, sides and edges of the table, then let it dry. Voila! 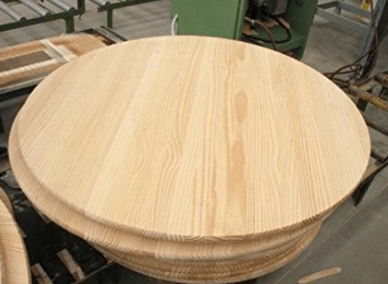 Note, BEFORE you stain your tabletop, be sure that when you put the legs on the table, it stands evenly on a flat surface. You may need to adjust the screws for stability until it’s solid. I really love the way my new DIY coffee table pulls my living room together. The grey tint in the stain picks up the grey in my rug and couch, and it looks AMAZING with copper! 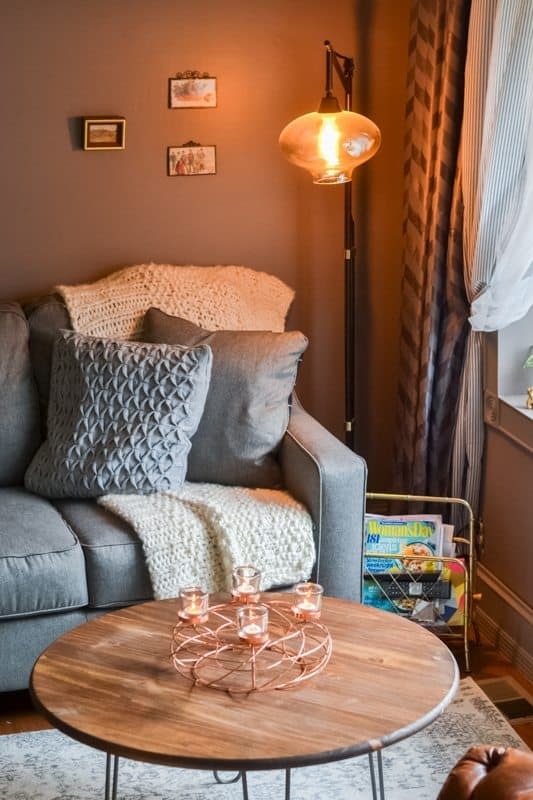 If you’re looking for a coffee table, try DIY before you buy. Similar mid-century modern designs go for double or triple the price! Customize it, and make it your own. Feel free to share pics of your successes!